No one wants to look old. One of the most common concerns for mothers is the appearance of aging on their skin. This includes fine lines, wrinkles, sun spots, redness, broken capillaries, and uneven color. Fortunately, we now have many different treatments for these conditions. However, the best treatment for these things is prevention. Did you know that most of the sun damage to your skin occurs during childhood? The number one factor for aging of the skin (and skin cancer for that matter) is sun damage. While the sun provides a number of benefits to us such as light and heat, it can cause a significant amount of damage to the skin. 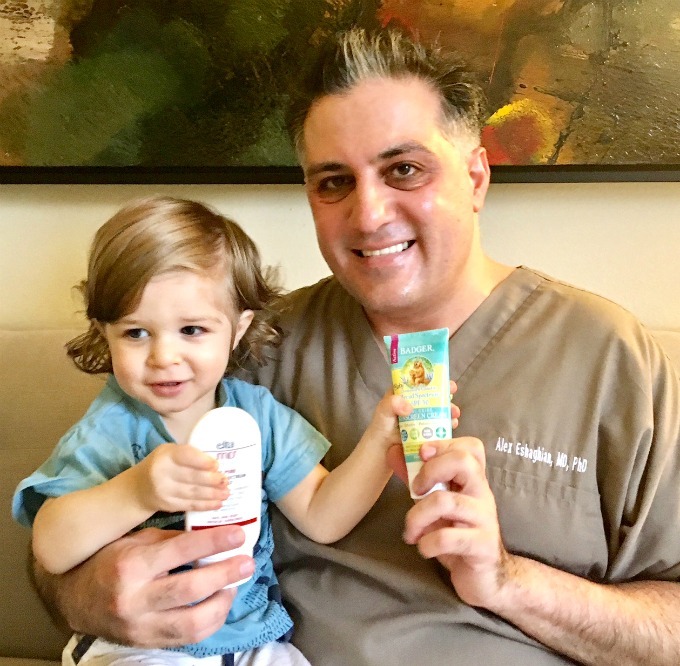 The first piece of advice I provide all of my patients is to apply sunscreen every day. Just doing this will reduce the appearance of sun damage significantly and protect you from skin cancer. The majority of a person’s sun exposure occurs in the first 20 years of life. This is because children are often outdoors playing. Once we graduate high school and go to school, or start working, we spend a lot more time indoors. This is why we need to apply sunscreen to our children every day before they go to school. The American Academy of Dermatology recommends using a sunscreen with an SPF of at least 30 every day, even if it is overcast. This is also true in the cold winter months, because sunscreen protects us from the sun, not the heat. Make sure that the sunscreen you apply is broad spectrum. This means that it has UVA and UVB protection. UVA and UVB are two types of ultraviolet rays that damage the skin. UVA rays cause Aging while UVB rays cause Burns. I recommend that moms start applying sunscreen to their kids starting at the age of 6 months.